The Problem Bank is a collection of exercises, assessments and activities created by CodeHS teachers from around the world. These exercises range from short practice problems to full coding projects and assessments. 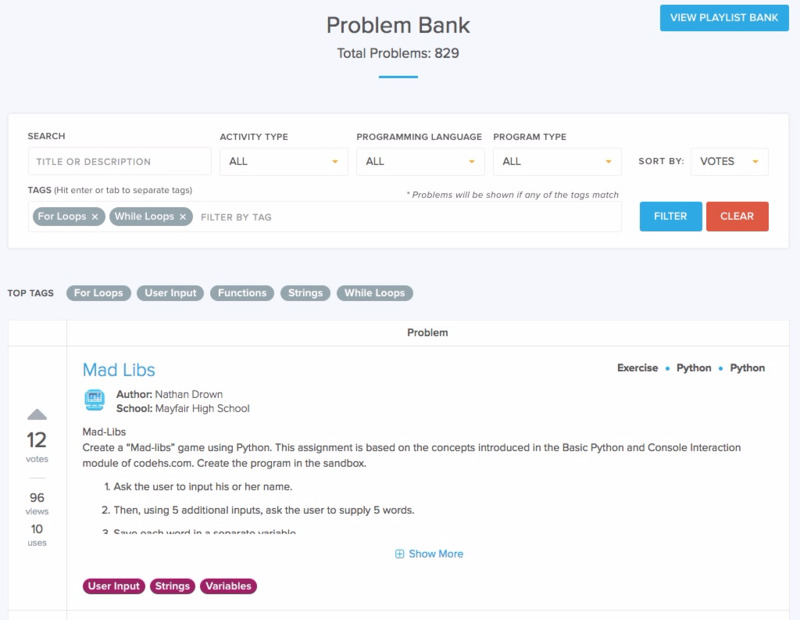 The Problem Bank is meant to help teachers share best practices and learn from other teaching computer science in their classrooms. Teachers can access the Problem Bank from the left sidebar of their Teacher page. In the Problem Bank teachers can search by exercise name, activity type, programming language and more to find activities that fit the needs of their students. Additionally, teachers can upvote programs that they find to be particularly useful, and these programs will rise to the top of the Problem Bank. 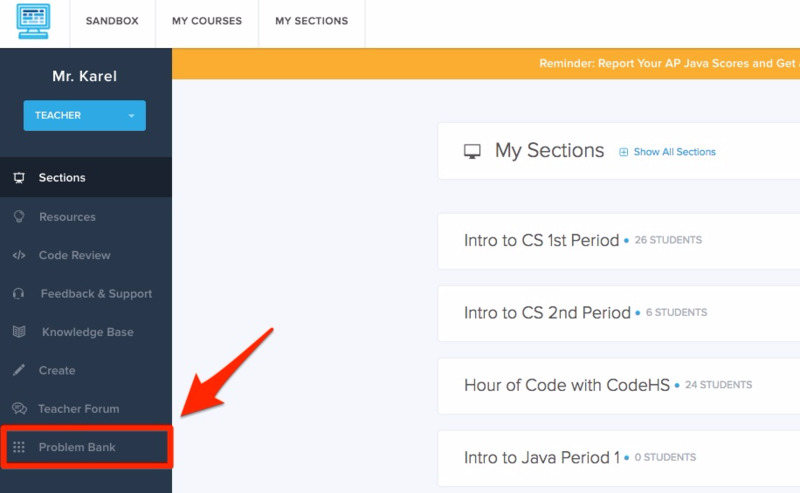 Once a teacher finds an activity they want to use with their students, they can copy that activity into their Playlist or Custom Course (more info here: http://help.codehs.com/codehs-create/how-do-i-add-an-exercise-from-the-problem-bank-to-a-custom-course).